Shambhala Music Festival - Happy Shambs! The holidays are one of the best times of the year, proven by the abundance of “Happy Holidays!” cards and “Happy New Year!” emails in your inbox when you return to work. It’s because it’s our chance to reconnect with ourselves and loved ones, recharge our batteries, and try new experiences or explore new things we wouldn’t have the time for otherwise. But since we don’t have many opportunities in our busy schedules to recharge, the end of the holidays often leaves us searching for our next getaway. “I can’t possibly wait until the next holiday season,” we say. We’ve only had a taste of the happiness and joy that reconnecting with ourselves and others brings, and another year is just too long to wait. 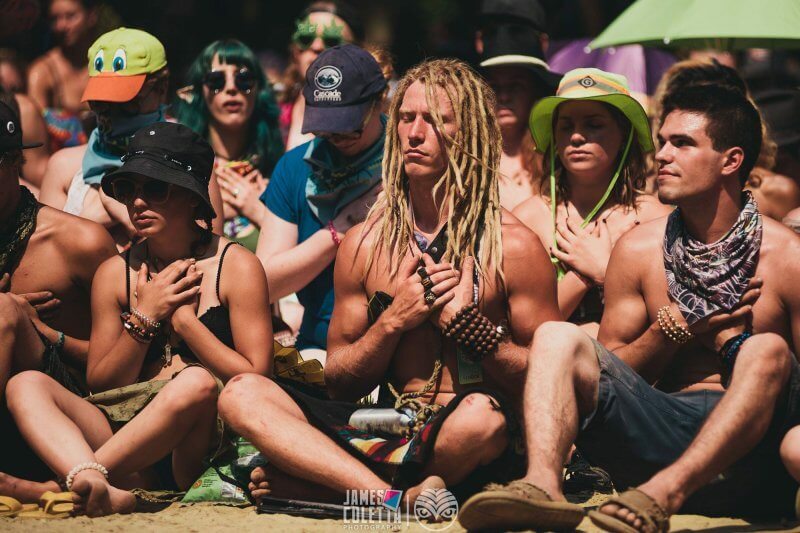 Shambhala Music Festival was built on just that – a getaway from busy city life, a chance to recharge, explore, make meaningful connections, and reconnect with your inner self. Everything you love about the holidays, and more. Once one Shambhala ends, another begins, as our Shambhaloves start prepping for their next return HOME as soon as they leave the farm. We’re all so beautifully connected to the farm and each other during our time there, so the excitement to return never dies. Many of our farmily spend months designing the most dazzling outfits, deciding how to put together their campsites, and making gifts to share and spread kindness on the dancefloor. That’s right – the gift giving and random acts of kindness don’t just belong to the holiday season, but to Shambhala too. “Happy Shambs!” is always echoing through the air as soon as you arrive. It comes from every person you pass and new friend you meet. Remember all of those “Happy Holidays!” cards? These ones are in real life, and they come with hugs and the occasional tear of joy. With the help of our dear Shambhaloves, the farm has become an oasis of all things we look forward to over the holidays. It’s a place where people from all over the world come to be free — to be themselves without fear of judgment. It’s your chance to let go of the stack of paperwork on your desk, avoid the morning rush hour traffic and bitter office coffee, and find yourself on the dancefloor with a delicious Night Owl coffee in hand to keep you dancing all night. 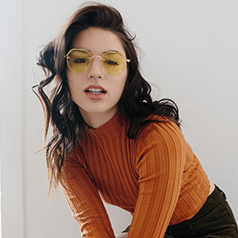 We promise the only thing you have to worry about is which sets you’re going to catch or whether you want to stay up to watch the sunrise over the beautiful Salmo River while you get down at the Living Room Stage. Our Shambhaloves know how special the farm is and what the experience brings you. They say “Happy Shambs” to wish you the happiness you came to the farm to find. To congratulate you for putting yourself and your pursuit of meaningful life experiences and connections first. To remind you that it too only comes once a year, and to cherish the time you have. We’re all searching for the same things in life — connection, meaning and purpose. These are all beautiful things we get glimpses of and experience briefly during our time away from our busy lives and in the arms of friends and loved ones. Things our Shambhaloves experience on the farm. So instead of anticipating the long year ahead without a break in the action, we hope you put yourself first and join us on the farm. Whether it’s your first time, or 10th time, we all deserve more opportunities to reconnect with ourselves and others. Show yourself some love. Purchase your 2019 tickets here. 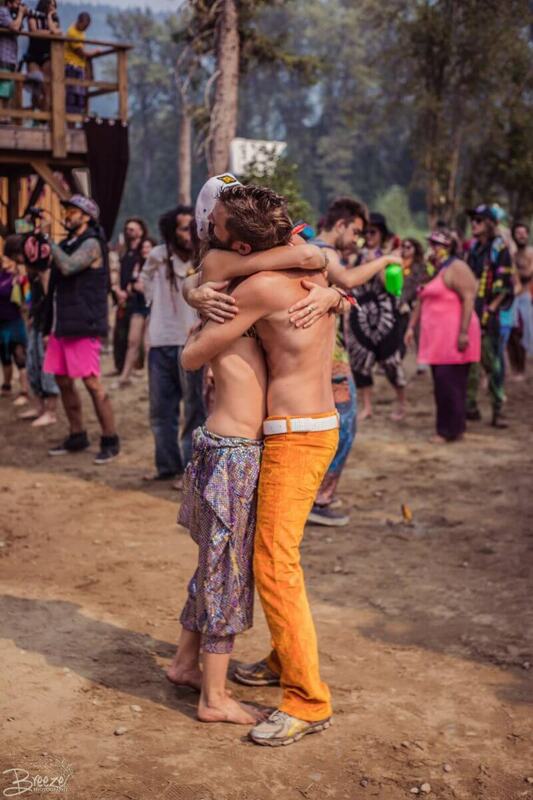 Talia loved Shambhala Music Festival long before she began working as the Entertainment Assistant two years ago, and that love only grew stronger when she was adopted into the farmily. 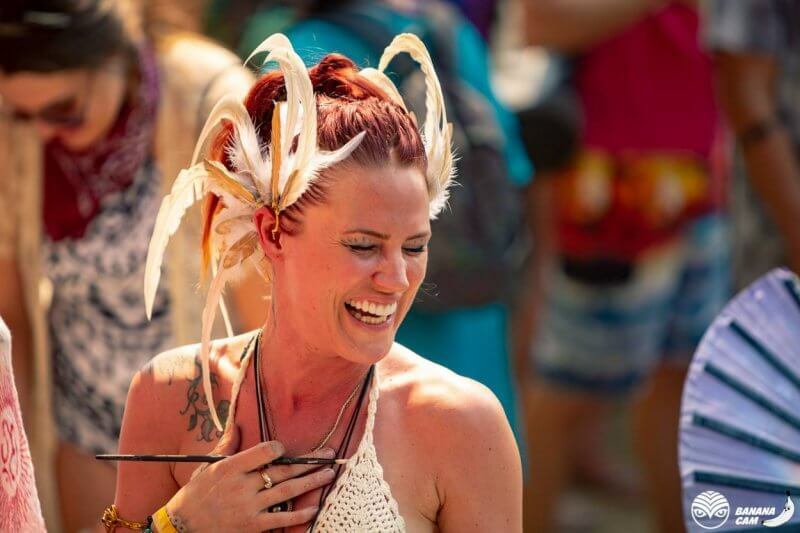 She now works in several areas of the music industry, returning HOME every year to be a part of the Shambhala magic.